With a space-efficient and low profile design, the 200 provides your commercial facility TRUE quality and durability. 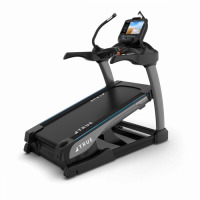 With patented features, such as HRC Heart Rate Control® and TRUE’S low-impact Soft System®, the CS200 treadmill will exceed the expectations of experienced users as well as beginners. The Performance 100 demonstrates over 35 years of manufacturing excellence. 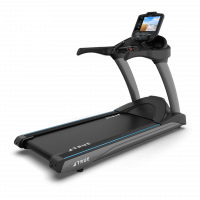 With one of the largest running surfaces in the industry and simple-to-use display, the Performance 100 will help users at all levels reach their fitness goals. 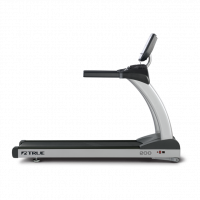 You will be confident in your fitness facility with TRUE as your partner. The Performance 100 was built with safety in mind with one of the largest running surfaces in the industry and handrails for easy entry and exit. In addition, the TRUE Soft System™ ensures the most orthopedically correct shock absorption by providing a soft surface on impact while transitioning to a firm surface for push-off. 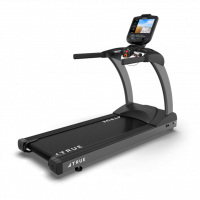 The C400 provides your commercial facility reliable performance and a high-quality experience with patented features like HRC Heart Rate Control® and TRUE’S low-impact Soft System®. In addition, the C400 is the ideal choice for rehabilitation use at health and medical facilities with a low speed of only .2 mph. A variety of console options provide the technology, features, and asset management needed for your facility.